From the feeling that you want to make yourself relaxed as if you were in your room, not only being a space for comfortable sleep, but also finished in a natural and restful interior. We are preparing a wide variety of rooms so that you can choose your room according to the number of people you use and the purpose. Please choose the best room for you while referring to bed size etc. The bed is 140 cm wide! Of course you can relax by yourself, but you can use it well enough for two people. 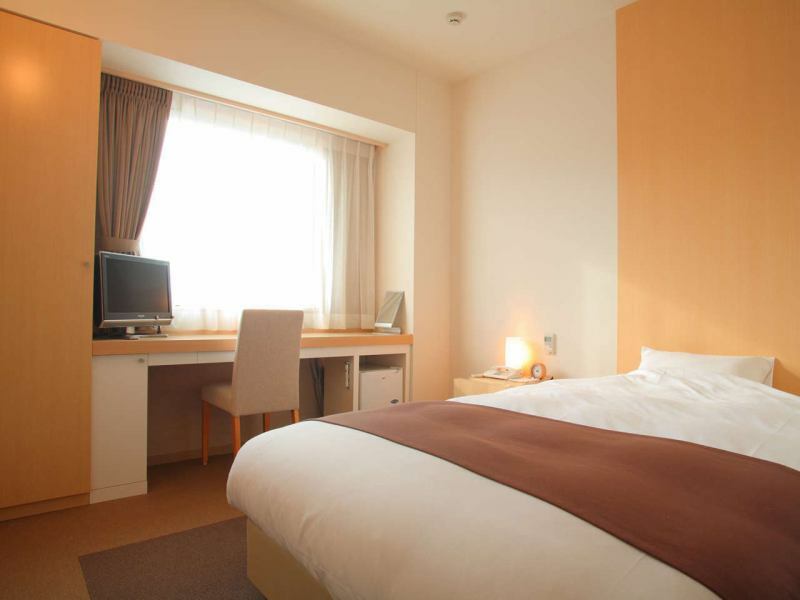 It is the perfect room for guests coming to Takayama with a business trip or a business trip. Two people can use it enough. This room is also recommended for guests of couples and parents. High floor single rooms are available on the higher floors (7th to 8th floor). ※When staying with children aged 3 to under elementary school, it is possible to sleep up to 1 person at an additional ¥ 1,500 (per breakfast fee) per person. Room dressing, towels, amenities, etc. are prepared for the number of people. 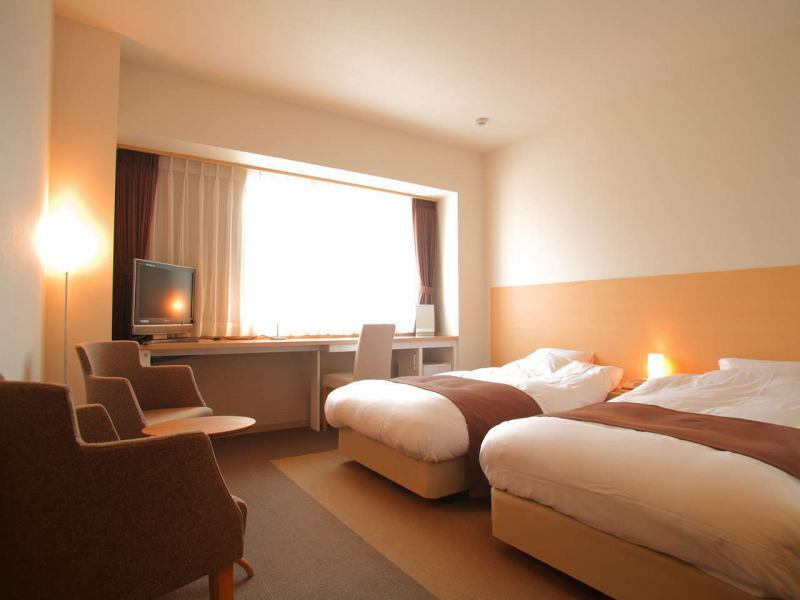 ※Accommodation and breakfast for children under 3 years old is free, but you can not use more than the room capacity. ※Children will be charged the same amount as adults if one bed is used. ※plan, it may be impossible for children to co-sleep (including free children until 2 years old). ※A space drawing is an example. Depending on the direction of the guest room, the number of floors, etc., it may be slightly different. This room has 2 single size (110 cm wide) beds spaced apart. For those who prefer one bed per person, this room is recommended. ※Standard twin sleeping is not available for children due to bed shape. 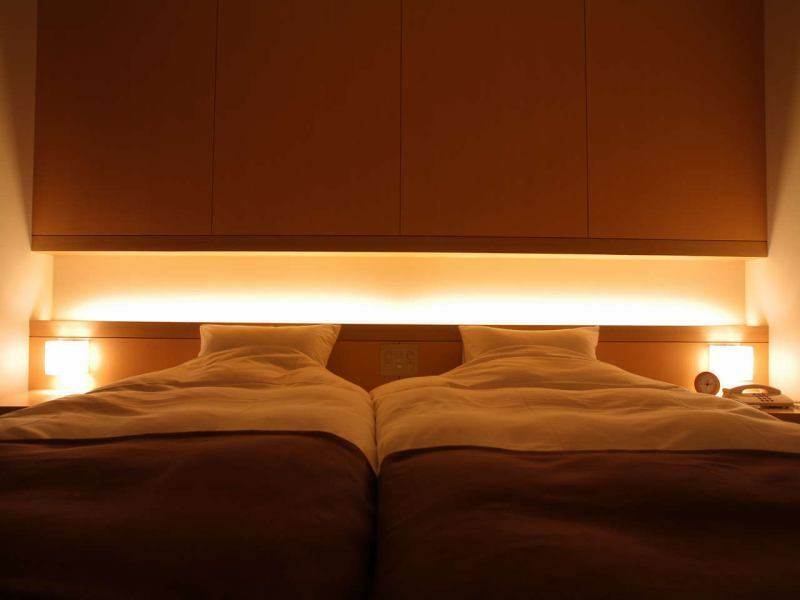 It is a room of two single beds (110 cm wide). We will prepare on the higher floors (7th to 8th floors). If you have children lining up with you, I will be in a Hollywood format with two beds connected. In the case of 2 adults, it will be a separate bed arrangement, but if you can contact us in advance we can also prepare in Hollywood format. 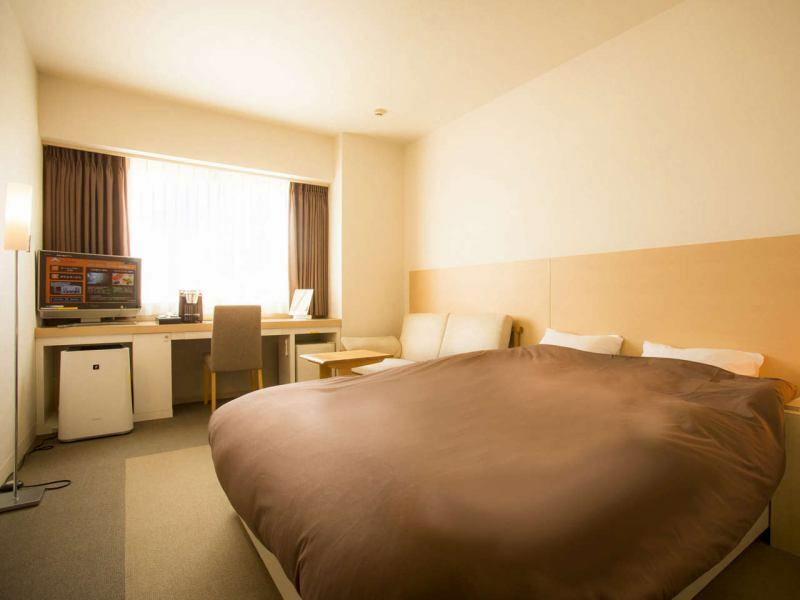 ※If you are staying with a child in the High Floor Twin Room from 3 years of age to elementary school children or less, it is possible to sleep up to 2 people for an additional ¥ 1,500 (per breakfast fee) per person. Room dressing, towels, amenities, etc. are prepared for the number of people. ※Standard Twin Room does not accept sleeping together. Family Twin is 130 centimeters & 100 centimeters. Children can cook as well. Two beds of different size 130 cm wide and 100 cm wide are arranged. When using with three families, the mother and child sleeping together in a large size bed, the father can sleep comfortably alone. Of course, it can also be used by two adults, one of whom is a large bed. The usage spreads out depending on the idea. Hollywood is possible to cook as well. We arranged two single size beds and connected it. Two single size (110 cm wide) beds are connected and arranged. I do not mind the boundary of the bed. If your family is 4 people, you can have a good night with 2 children between your parents. 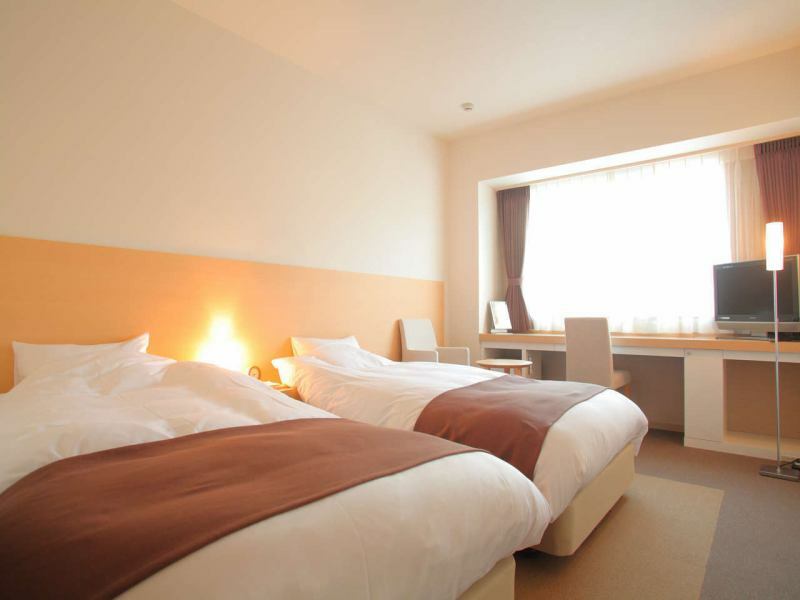 ※If you are staying with a child between 3 years of age and elementary school children or less, you can sleep up to 2 people for an additional ¥ 1,500 (per breakfast fee) per person. Room dressing, towels, amenities, etc. are prepared for the number of people. 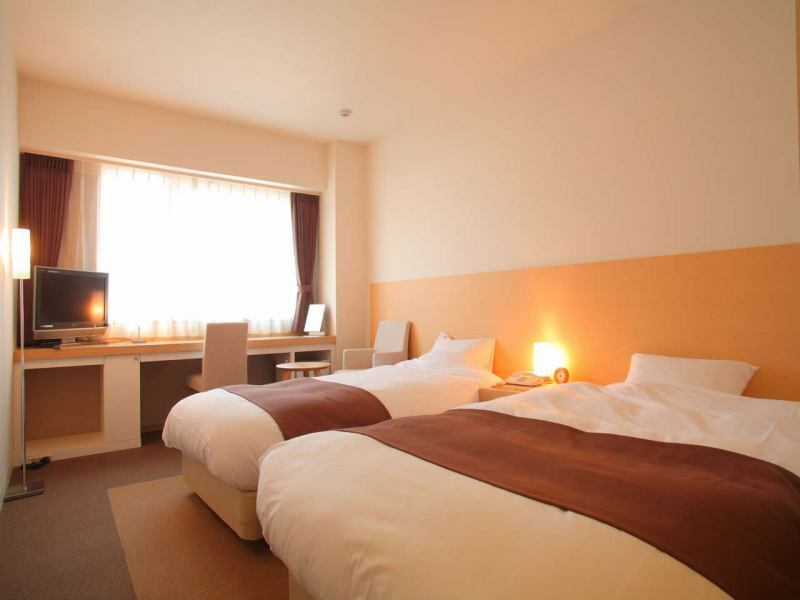 Deluxe double room with 160 cm wide bed and sofa. It has special equipment and linen. ALPINA's largest bed is 160 cm wide! There is also a large sofa. This room offers a relaxing atmosphere. Special amenities and linens are available only in deluxe rooms. Enjoy exclusive privileges for our Deluxe Rooms. There is also a large sofa and you can enjoy a relaxing atmosphere. Deluxe twin room is gorgeous at bedside. Spend a relaxing time with important people. A room with two 110 cm wide beds connected. You can use it like a large double bed of 220 cm width together two. As there is one bed mat, I do not mind the boundary of the bed. The most spacious room in our hotel, the separate bath and toilet are great appeal. Special amenities and linens are available for deluxe rooms, such as air purifiers and foot massagers, giving a more luxurious atmosphere. The largest in the hotel, the only one with separate bath and toilet. This room corresponds to an extra bed. If you would like to use an extra bed, please contact us directly by phone. Spa Hotel ALPINA Hida Takayama, "Tel: 0577-33-0033 "※Please notify us of your caller ID. ※The name changed from "Deluxe Twin Room" to "Deluxe Hollywood Room". There is no change in bed shape / equipment in the room at all. The universal twin room is a spacious type that can be used in a wheel chair. It is a room that eliminated steps in the room so that it can be used even in wheelchairs. Two 110 cm wide beds are spaced apart. You can use it with confidence because the railings are equipped in various places in the bathroom. Because it can accommodate an extra bed, it is possible to stay with 3 adults. Also to wheelchair users it is the room of a barrier-free structure of which you can use with confidence. It may not be usable depending on your terminal settings · version etc. LAN cable is available in your room. We rent a laptop computer at 2 days / 1 time 1,000 yen per night. 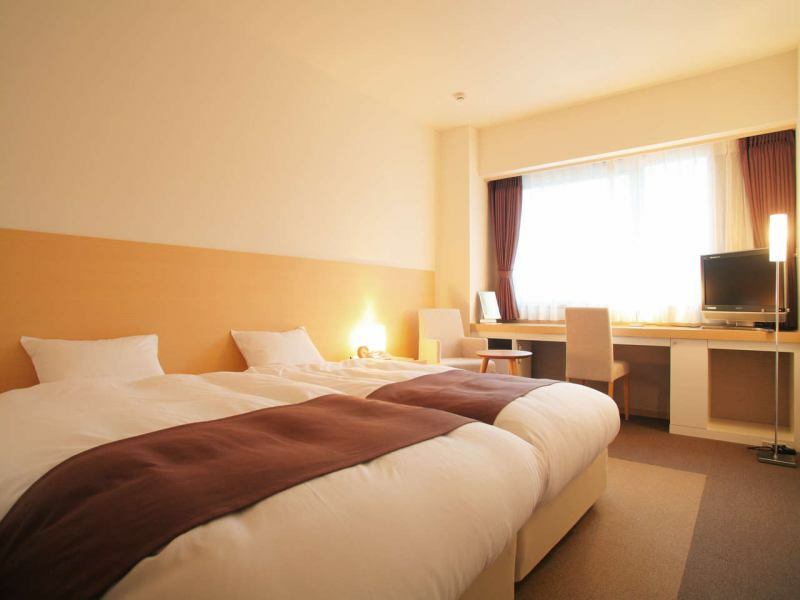 ※amenities is given at the front desk in consideration of the environment.